Hi there,My name is David Hayes and I’m an Electronic Engineering student at University College Dublin. 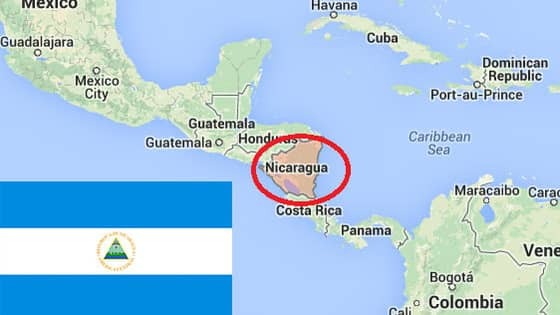 I currently find myself in the extremely fortunate position of having been selected to travel to Nicaragua for 4 weeks in June 2017 as part of a UCD Volunteers Overseas project. During the course of these 4 weeks, I will work alongside 22 other student volunteers from UCD in the town of Somoto in north-western Nicaragua on both infrastructural and educational development projects. UCDVO runs these projects in conjunction with a number of local NGOs, including INPRHU, Xomothl and MCN, and notable previous work carried out in Nicaragua includes: · Tree house, basketball court and chicken coop built in LosQuinchos Education Centre· Health centres built in Santa Isabel and El Kairo· Drip irrigation systems built for several local communities· Pre-school and Primary School built in Las Palmiras· Library developed and stocked in Los Quinchos Along with the other members of my team, I have a personal fundraising target of €2,600 which goes towards volunteer training and project costs. I will be self-funding a sizeable portion of this target and I plan to organise as many fundraising events until the time of departure to exceed my target. However, I would be incredibly appreciative of any donations, regardless of what size, towards what I believe is a really excellent cause and I hope that someday I would be able to return the favour. Every cent donated goes directly towards developing UCDVO projects. The Nicaraguan project has been a great success over the last number of years and has had a really positive effect on the lives of the people in the Nicaraguan communities. Our team is committed to continuing UCDVO’s excellent work and ensuring another successful project this year. Please feel free to contact me with any queries regarding the project, fundraising, etc. and once again, any form of assistance in meeting my fundraising target and helping make this project a success would be greatly appreciated. Thank you!